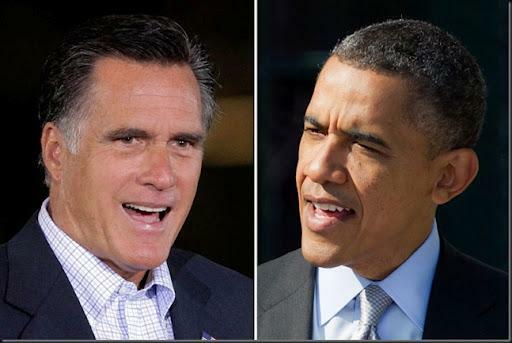 ScienceDebate [ Science Debate is a nonprofit organization dedicated to elevating science and engineering policy issues in the national dialogue of the United States] has asked the Obama and Romney campaigns to address the following questions on Science policies by mid-August. It would be interesting to give these questions to our leaders. 1. Innovation and economics: Science and technology have fueled more than half of U.S. economic growth since World War II, but studies suggest that may be changing. What policies will best ensure America remains a world leader in innovation? 2. Climate change: What is your position on cap-and-trade, carbon taxes and other policies to address global warming? What steps can we take to improve our ability to tackle challenges like climate change that cross national boundaries? 3. Research and the future: Many other countries are making big investments in scientific research, but since the next U.S. Congress will inevitably have to curb spending, how would you prioritize research projects in your budget proposals? 4. Pandemics and biosecurity: In an era of constant and rapid international travel, what steps should the U.S. take to protect its population from emerging diseases, global pandemics and/or deliberate biological attacks? 5. Education: Why do you think U.S. students have fallen behind in science, math, technology and engineering over the last three decades? What role should the federal government play to better prepare students for the global economy? 6. Energy: What policies would you support to meet America's high demand for energy while ensuring an economically and environmentally sustainable future? 7. Food: America has the world's most diverse and productive agricultural sector, but many Americans are increasingly worried about potential dangers like hormones, antibiotics, pesticides and animal diseases. What steps would you take to ensure the health, safety and productivity of America's food supply? 8. Freshwater: Less than 1 percent of Earth's H2O is liquid freshwater, and much of that is now threatened by overconsumption, evaporation and pollution. What steps, if any, should the U.S. take to secure clean, abundant freshwater for all Americans? 9. Internet: The Internet plays a central role in both our economy and our society. What steps, if any, should the federal government take to manage the Web and ensure its robust social, scientific and economic role? 10. Oceans: Most global fisheries are in decline, key habitats like coral risks are at risk and ocean pollution is rampant. How can the U.S. use domestic and foreign policy to protect the oceans' environmental and economic vitality? 11. Science in public policy: How will you ensure that policy and regulatory decisions are fully informed by the best available scientific and technical information, and that the public is able to evaluate the basis of these policy decisions? 12. Space: The U.S. is in a major discussion over our national goals in space. What should America's space exploration and utilization goals be in the 21st century, and what steps should the government take to help achieve them? 13. Natural resources: Supply shortages of natural resources affect economic growth, quality of life and national security. What steps should the federal government take to ensure the quality and availability of critical natural resources? 14. Vaccines and public health: Vaccination campaigns against preventable diseases rely on high participation to be effective, but vaccination rates have fallen sharply in some communities. What actions would you support to enforce vaccinations in the interest of public health, and when should exemptions be allowed?